Mount Agung is the highest and holiest mountain in Bali. It is also believed as the home of the God. Mount Agung is located in Karangasem Regency, Bali province, Indonesia. It dominates the surrounding area so that it gives a lot of influence to the weather of Bali Island. The clouds come from the west and Agung takes their water so that the west is lush and green while the east relatively dry and barren. It last erupted in 1964 and still active with a large and very deep crater which occasionally spurts smoke and ash. Mount Agung of Bali is 3,142 meters above sea level so that it can be accessed by fit hikers in about 5 to 7 hours from Besakih Temple starting point. Alternatively, it can also be reached in about 3 to 4 hours from Pasar Agung Temple starting point. If you think that you are an adventure Lover, this trek will be the best choice for you. Our local Guide will help you discover the atmosphere of the spiritual ground and see more things up closer than just about anything else. This program will make your holiday completely exciting in Bali Island – And Our local guide will ensure that you will have a safe trekking Trip – our guide will show you the best Route to execute climb up Mount Agung – He will also help you determine what you can do or not during the trekking trip. 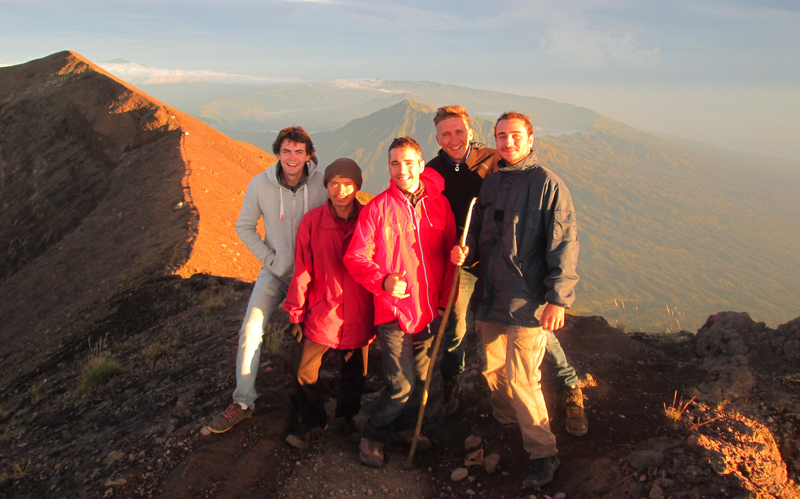 The trekking trips in Mount Agung can surely be described as amazingly challenging. It is amazing as you will witness the amazing sunrise from the summit of Mount Agung that you have never seen before in other places on earth. 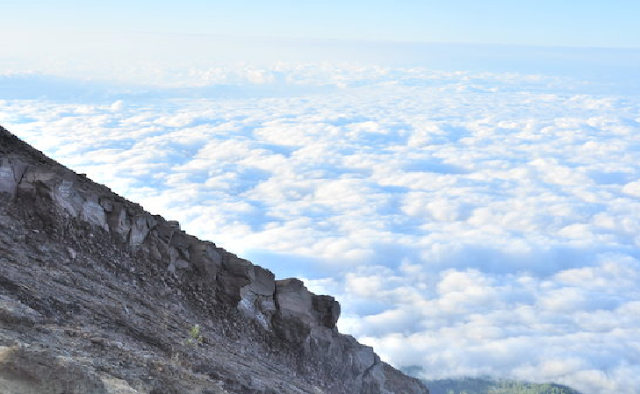 From the top of the mountain you can also see Mount Rinjani which is not located in Bali Island. It is located in Lombok island, an island located east of Bali. What is really challenging is that there are two common climbing routes up the mountain in which both of them are challenging and you need to be physically fit and have some serious trekking experiences to be able to join these trekking trips. 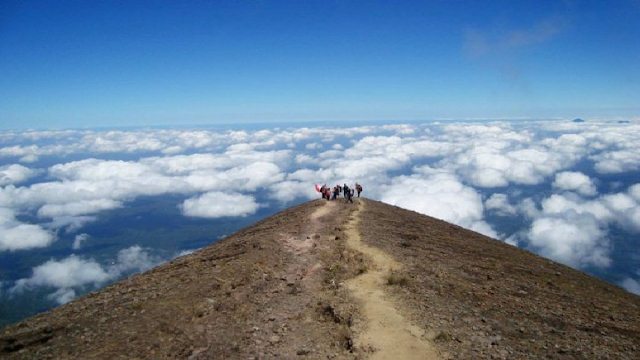 You also have to make sure that you have prepared your trekking trip well because these treks are not the same as climbing Mount Batur for a comparison. What you should know before Climbing Mount Agung Bali. NOTE: First, Women during their period are not permitted to climb up the Volcano. Second, please bring only what you need, please just leave the rest of your belonging in your hotel room. Temperature: 6 – 12° Celsius (At the top of the mountain).